The amount of information available in on-line shops and catalogues is rapidly increasing. A single on-line catalogue may contain thousands of products thus posing the increasing need for fast and efficient methods for information filtering and retrieval. Intelligent agent communities may prove to be the needed item in transforming passive search and retrieval engines into active, evolving, personal assistants. In this paper we present a multi-agent architecture for an on-line shop and we propose new methods for performance balancing between filtering, retrieval, ranking, and server catalogue restructuring. 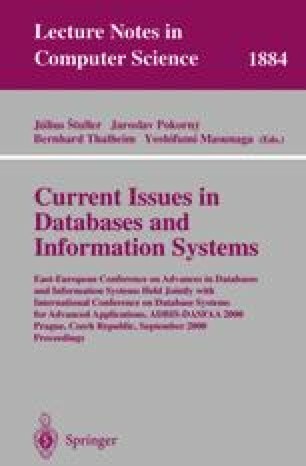 This novel approach to multi-agent e-commerce systems provides intelligent, adaptive and personalised navigation within large hypertext environments useful for a wide range of Electronic Commerce applications.